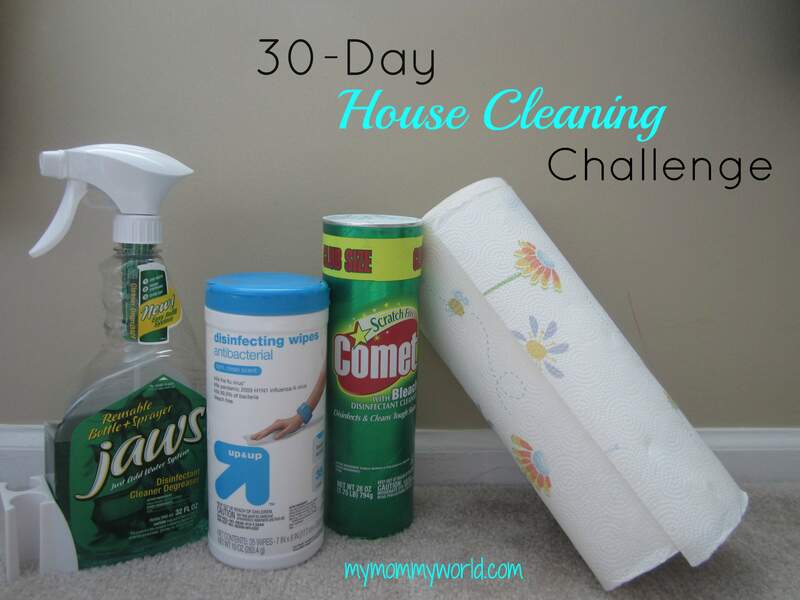 It was another easy day for me in the 30-Day House Cleaning Challenge, hosted by Money Saving Mom. Some extra work earlier in the week cut my cleaning time down to only 5 minutes today! We have 2 “extra” rooms in our house: a playroom and a basement. Since I took the time to vacuum these rooms earlier in the week, I only had to dust today. 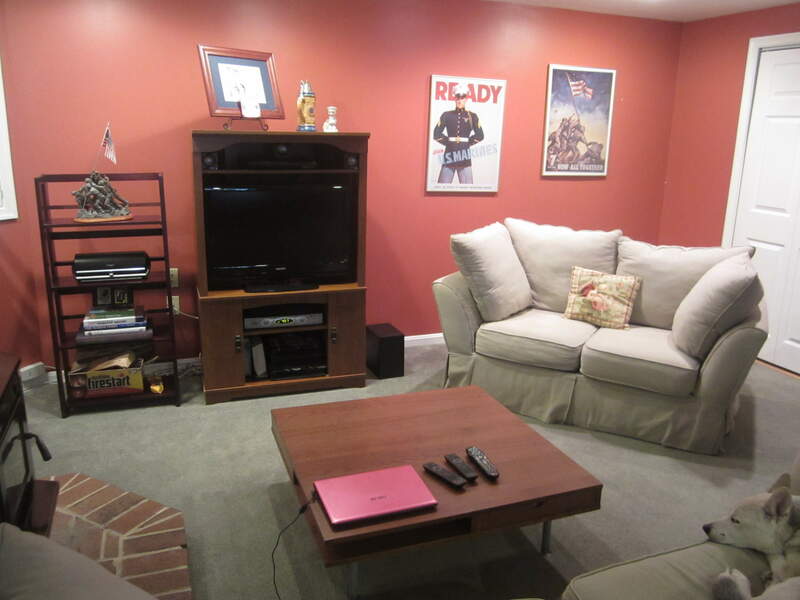 The basement is also a bit of a man cave…we have my husband’s Marine Corps posters and collectibles in here. The former owners of our home, some big University of Maryland fans, painted the basement a sort of dark red-orange color, and we kept it because it coordinates with some of the posters. How do you like our coffee table? We found it on clearance at Ikea about 10 years ago for only $20! 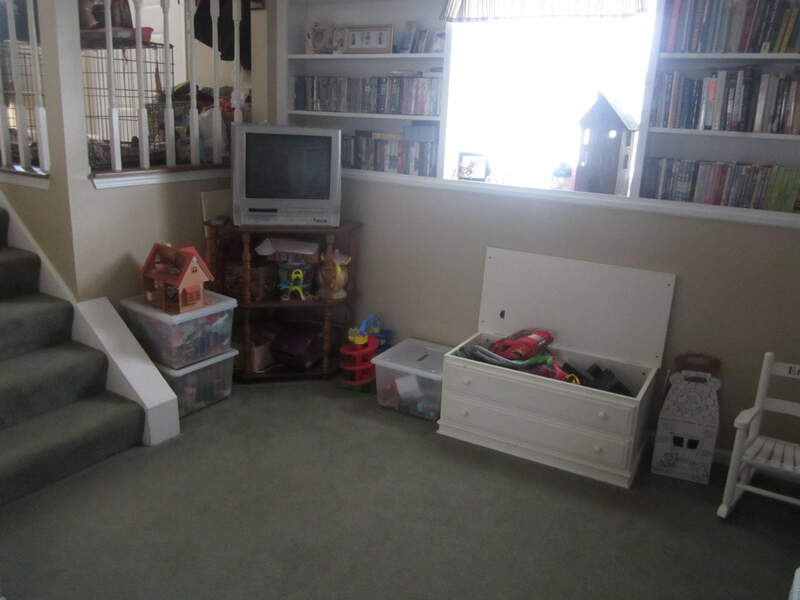 I also just dusted a bit in the playroom. We recently had a big clean-out and got rid of a lot of stuff, so it actually looks pretty organized in there (at least for a few more weeks…). Did you get any cleaning done today? Enjoying your posts everyday. Great job! Thanks for visiting Lisa 🙂 I hope you come back again soon! LOVE the decor of the basement =) Great job! Your home is beautiful and I love following your blog! Great job! I love the looks of your rooms!